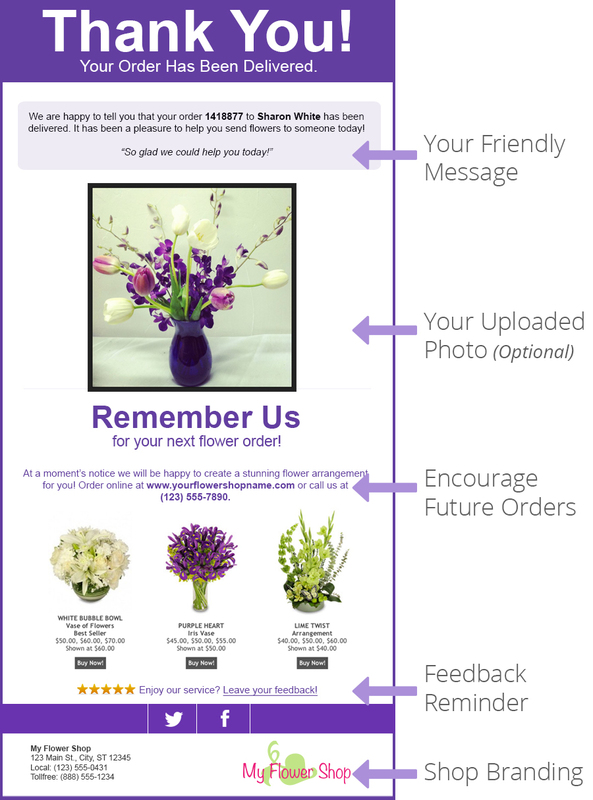 We make it easy to let your customers know their arrangements were delivered — safe and sound! Example of Delivery Confirmation customer email with photo. 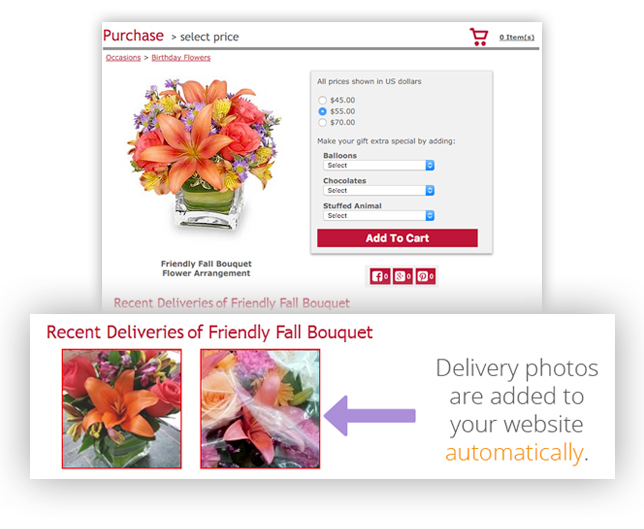 Website delivery confirmations - you can easily add a photo of the arrangement that was delivered, which will be emailed to the customer. This great feature lets the sender know that their order was completed, and entrusts you to do business with them in the future. You can even upload from your mobile phone! We will also add these photos to your FSN website, on the corresponding product page, if it’s one of FSN’s arrangements. Example Recent Deliveries section on FSN website checkout page.